Filmmaker Frank Chi first encountered Carlos Bulosan’s 1946 book “America Is in the Heart” as a college student more than a decade ago. An Asian-American immigrant who had difficulty finding a sense of belonging, Chi said the book — which loosely mirrors Bulosan’s immigration from the Philippines and describes the suffering of migrant laborers in the 1930s — resonated with him, helping him learn how to be an American in his own way. Now, in a short film released Wednesday with the Smithsonian Asian Pacific American Center (Smithsonian APA Center), Chi is bringing Bulosan’s words to life. "‘Letters from Camp’ is a stark reminder from the past so we can collectively say ‘never again.’ ‘America is in the Heart’ is about what sustains us as a people — in the past, today and forever." The film features comedian Hasan Minhaj, activist Ivy Quicho, and writer Junot Díaz reading from “America is in the Heart” set against images of immigrants and their families across the country working, going to school, and serving in the military, among other activities. 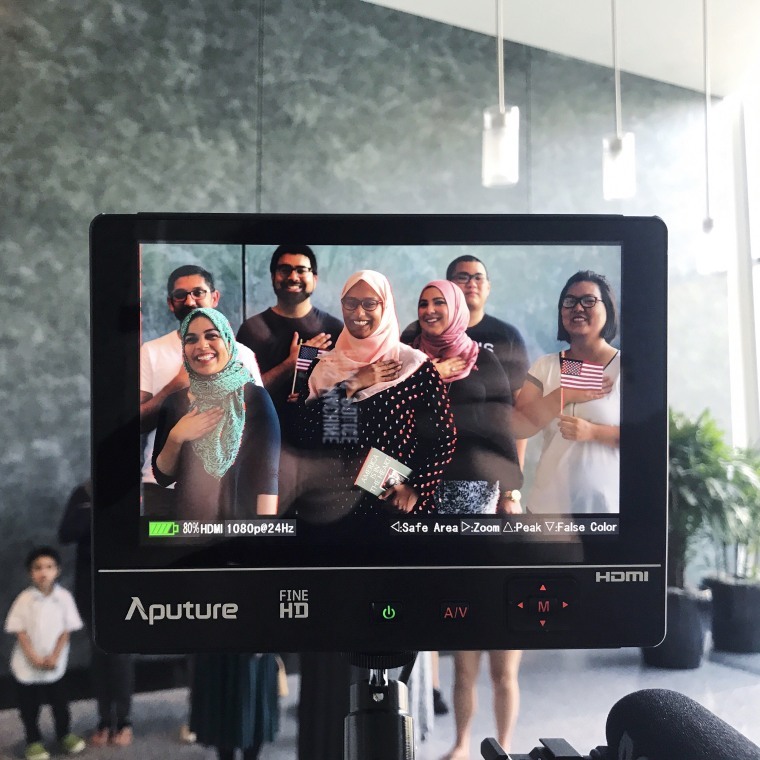 In the production of the film, the Smithsonian APA Center reached out to an array of immigrant communities across the country, according to Adriel Luis, curator of digital and emerging media for the center. Luis said that most had not heard of Bulosan’s book, but after reading the passage used in the film, many were inspired. This year’s short film follows one in 2016 by the Smithsonian APA Center and Chi. That film, “Letters from Camp,” featured Muslim-American children reading letters written by Japanese-American youth incarcerated in camps during World War II to Japanese-American elders who had spent their childhoods in those camps. The film was viewed more than a million times, making it the most-watched Smithsonian film posted on Facebook, according to Luis.